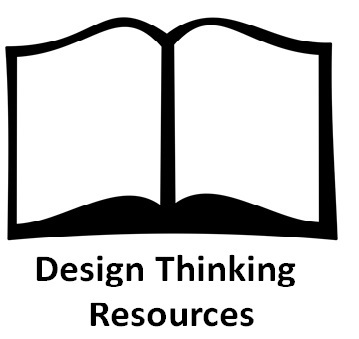 This collection of resources is a response to the following question I get in my Design Thinking workshop: Please suggest some articles / books / videos for us for further study. Hence, the list is biased by what I cover in my workshops. I also carry a bias for stories which highlight the iterative nature of the design thinking process and bring out learning from failures. 1. Stanford D-School Resources: I have been benefited by the Stanford D-school Resources site which contains a rich set of resources: For example, check out the toolkit called The Bootcamp Bootleg and also you can go through a 1-hour short introductory online course called a Virtual Crash Course in Design Thinking. 2. ABC Nightline - IDEO Shopping cart: While this 8 minutes video is more than 15 years old, I feel it gives a good overview of the overall process. For example, the importance of going on the street and talking to customers / experts in actual context, fail fast principle, prototyping, testing with real customers etc. The video stops at 2 iterations and that’s too few to tell us more about what happened next. For example, it doesn’t tell us whether it reached a point of getting significant investment. Moreover, some of the aspects such as the diversity of the team involved and the open culture of the organization may not be replicable in your context. Despite these limitations it is still my favourite video for a beginner. IDEO folks like Tom Kelly, David Kelly and Tim Brown have also written books on Design Thinking which are easy to read, full of examples and pictures. E.g. The art of innovation by Tom Kelley, Creative confidence by Tom and David Kelley, Change by design by Tim Brown. 3. A watch for everyone including blind: Here is a good interview titled “How to build an end-user profile” of Hyungsoon Kim that highlights the importance of empathy and rapid prototyping in the journey of problem and solution disovery. In this interview, Kim gives more insights on the process he followed as the Founder of Eone in designing a watch for everyone including blind people. The interview starts around 1:42 in the video. You may also like Kim’s TEDx talk “Designing a watch for everyone”. Eone watch went through crowdsourcing process on kickstarter and is a successful product in the market. So if you like success stories, this is a good example. Kim has also written the product story in the article: How your product can benefit from user feedback. 4. Husk Power Systems: In the Indian context, the story set in Bihar and narrated by Gyanesh Pandey is one of my favourites for following reasons: (1) It brings out the role of empathy in identification of a challenge area (2) It presents how the framing of challenge undergoes shifts as the awareness of the context grows – it is difficult to get the problem definition right when you are far off from the context (3) It highlights the role of experimentation in technology as well as business model (4) It shows how regulatory changes may have a huge influence on the business. The story of Husk Power is still unfolding after a decade of inception. Here is a 2015 NDTV interview of Manoj Sinha, a co-founder of HPS on how HPS is adapting to the solar energy wave in India and the creation of hybrid model. 5. Addressing malnutrition in Vietnam: I feel that complex issues such as poverty, malnutrition, poor quality of education need an inside out approach. This means that the seeds of the solution need to come from the same context where the problem exists and the participation of the community plays a crucial role in experimenting, scaling and sustaining a change. This approach was championed by Jerry Sternin and highlighted by the story of how he and the local community addressed the malnutrition problem in Vietnam. Jerry Sternin has written a book, “The power of Positive Deviance” which presents the philosophy and the case studies. 6. Infinite vision: “Eradicating needless blindness” may sound like an intimidating challenge especially in a country like India. However, Dr. Venkataswamy pursued this challenge for thirty years and created a world class hospital with empathy and experimentation deeply ingrained in its culture. The book “Infinite vision” by Pavithra Mehta and Suchitra Shenoy brings the Aravind Eye Care story to life. If you prefer a video, check out “Infinite vision: Dr. Govindappa Venkataswamy”. (duration: 34:57). If you like a short introduction, check out: Aravind Eye Hospital (duration: 6:08). If you want to get an idea of how Aravind innovates, the book is the best resource. 7. 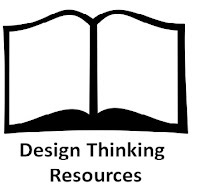 40 Design Thinking success stories: This is a collection of 40 stories related to Design Thinking collated by The Accidental Design Thinker. They are categorized into various sectors such as: Consumer packaged goods, Education, Financial Services, Heathcare, Journalism, Non-profits/NGOs, Retail, Technology, Transportation, Self-improvement. This categorization may help you find a story closer to your context. It is not clear what is the basis for calling a story successful and even if it is a success story, I would not jump to conclusion that the success was primarily due to Design Thinking. So please apply your own judgment. What is “Putting everything in its right place” according to Jiddu Krishnamurti? 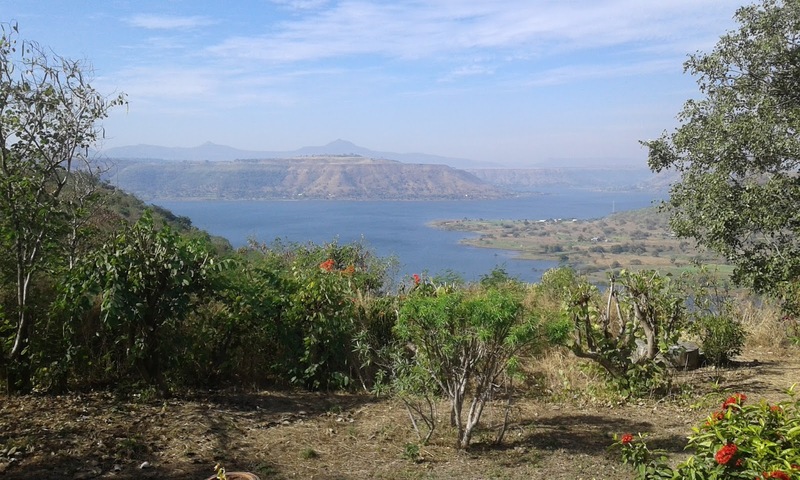 I am currently visiting my wife in the beautiful campus of Sahyadri School located on top of Tiwai Hill about 70km north of Pune (The picture above is a view from the K-study center here). It is an ideal place to read, reflect and be with nature. This article is an outcome of reflection on one of the things Jiddu Krishnamurti (JK), the inspiration behind this school, said in a dialogue – the whole thing is “Putting everything in its right place. Once you put it in the right place, it is finished!” i.e. there is no more conflict in life. That sounds magical! How can conflict in all forms: worry, anxiety, anger, jealousy, frustration etc. vanish forever if one just puts things in its right place? There must be some catch in it. Here is an attempt to demystify the magic. 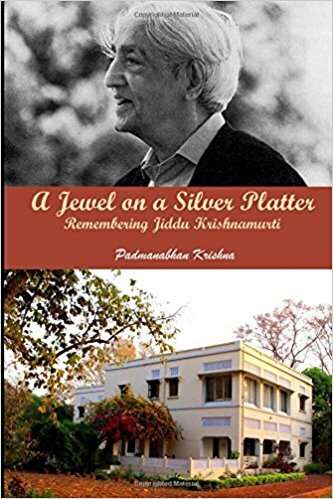 I came across this conversation in “A dialogue between Krishnamurti and three scientists” from the book “A Jewel on a Silver Platter: Remembering Jiddu Krishnamurti” by Padmanabhan Krishna (PK). The dialogue occurred on August 28, 1977 between JK, and three scientists: PK, who was then a Professor of Physics at Banaras Hindu University, Asit Chandmal (AC) who was then working as a Computer Scientist in the US and David Bohm (DB) who was then a Professor of Theoretical Physics at Birkbeck College in London. Here is an excerpt from the dialogue. I have omitted some lines and kept the necessary ones for brevity. For full conversation, please refer to the book. AC: So, the whole thing is putting everything in its right place? JK: Everything! Sir, look! If you put your socks and your trousers and your shirts, all jumbled up, it takes time to fetch the socks: but suppose, you put socks in the right place, coat in the right place and so on, you are free of the botheration. You go to it directly, you don’t waste energy. So, if you put everything in order inwardly, you conserve energy! AC: All such things have a tendency to go out of place and it’s only a constant clear perception of it which keeps it in its right place. JK: You don’t have to do it constantly. Once you put it in the right place it is finished! AC: Yes, but you put them on and you put them back in the right place. JK: Of course! Follow that up slowly. Not only physically, your handkerchiefs, your ties, your books, food, and all that, but also can you put everything in order psychologically? Put them in their place? You can’t! Because it’s such a vast jumble! So, as long as there is anything accumulated psychologically – hmm? – there can be no order inside, Right? You know, our brain is registering almost everything, the noise, the words which are being used – it is registering like a tape. Now, is it possible for the brain not to register except that which is absolutely necessary? Why should I register your insult? Why? Why should I register your flattery? It is unnecessary. Why should I register any hurts? Unnecessary. Therefore, register only that which is necessary in order to operate in daily life – as a technician, a writer, and so on but psychologically, do not register anything else. Now, imagine hangers in your wardrobe where you hang shirts, trousers, ties etc. What JK is hinting at perhaps is that there is an imaginary hanger called “me” in the mental wardrobe where we hang insults, hurts, flattery etc. A flattery would make the wardrobe look shinier and an insult would make it look duller. And that automatically triggers action that would keep the wardrobe shining in future. What if that hanger is more like a rainbow – almost like a holographic image of a hanger? Imagine hanging things on a rainbow. It doesn't make sense. It would end up triggering actions which are meaningless. Can you observe and check it for yourself? Can you observe your brain registering an insult or a hurt or a flattery? And if so, investigate if it is serving any useful purpose? Why does Ishiguro say Stevens the butler is a monster? “Remains of the day” is this year’s Nobel Laureate Kazuo Ishiguro’s one of the famous novels. It is about a buttoned-up British butler, Stevens, looking back at his life towards the end of his career. 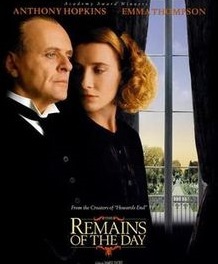 The character is beautifully depicted by Anthony Hopkins in the movie also titled “Remains of the day”. Throughout his work as a butler, Stevens had placed higher value on professional duties than on personal feelings and served his employer faithfully. Hence, I was surprised when Ishiguro referred to this mild mannered character as a kind of monster in a conversation with a fellow writer. Why would Ishiguro say that? Let’s see in this article. Creating an incredibly stuffy English butler in The Remains of the Day, I was very aware that I was taking something that I recognised to be a very small, negative set of impulses in myself – the fear of getting hurt in love, or that urge to just say, “I don’t want to figure out the political implications or the moral implications of my job, I’m just going to get on with my tiny patch”; those kinds of little urges we all recognise in ourselves – taking those and exaggerating them, and turning them into a kind of monstrous manifestation. The butler doesn’t look like a conventional monster, but I always thought that he was a kind of monster. In case of Stevens, the butler, Ishiguro is referring to the last category – monsters are things people should be scared of, but they aren’t. Now, what does Stevens do that qualifies him as a monster of this kind? This is 1920s and 30s. Stevens’ boss Lord Darlington doesn’t like the way the Germany gets treated after the defeat in the First World War. Hence, he is sympathetic towards Germans. He wants to help them. In the process, without fully aware of what he might be doing, he ends up supporting the Nazi movement. Stevens is the central character when it comes to taking care of all the guests at the Darlington Hall. He is not bothered what kind of political meeting is taking place at the Hall; he is doing his job with utmost faith. In fact, he believes that the real dignity of a butler lies in doing the job well by paying attention to every detail and keeping his employer happy. Of course, his boss is supporting a monstrous act and Stevens consciously ignores it. That makes him a supporter of a monstrous act and hence a monster himself. In some political and moral ways, most of us are butlers (2:30). By that I mean, even in democratic countries, we find ourselves oddly far removed from the real power. Most of us do jobs – good jobs, little jobs. But most of us don’t run countries or multinational corporations. We fit in somewhere, if we are lucky, and we learn to do a little job and try to do it to the best of our abilities. Usually we offer up our contribution to somebody upstairs. We hope that the contribution is going to be used well. But we often can’t be sure. We offer it up to a company, or an employer, or may be a cause or a country. But in that sense we are all rather like butlers. So I was attracted to this figure who wanted to be so good at being a butler; everything was about serving his employer. But he thought it was beyond him to question how his contribution is being used. That leaves us all open to discovering at some stage that perhaps we contributed to something we don’t particularly approve of. But for most us that is our fate. We live in small worlds. Once we get busy polishing up our image to fit into a system, we are lost in our small world. We systematically, without being aware of it, are ignoring to see the bigger picture. And once we are lost in our small world, the world made up of a set of beliefs and values, we are a victim of self-deception. We are creating stories, elaborate stories, to justify our acts and our existence. People trapped in self-deception are potentially monsters. Who knows what they may end up supporting? Be careful, you may be a monster too. Why does Daniel Kahneman refuse to advise individuals? I have been a big fan of Daniel Kahneman and his work for over a decade. And the admiration has only grown over the years. However, there is an aspect of his position that puzzles me. Kahneman has been consistent in saying that his work on biases, beautifully captured in “Thinking, fast and slow”, is not of much use to individuals. Because, he feels, his thirty years of research hasn’t helped him become better at decision making. And yet, I find Kahneman demonstrates high degree awareness of potential biases in his thinking while answering interview questions. Isn’t that awareness an important element of good decision making? And could that be a result of internalizing his work? So, why does he refuse to advise individuals? I would like to explore it in this article. Q: You have people in this room who make a lot of important decisions, consequential decisions every day. So tell them how to improve their own decision making. We are going to do a little self-help here. How do they improve their own decisions? Kahneman: When you talk to an individual, I refuse to answer that question. Because how little studying this problem has done for the quality of my decisions. Q: You don’t think you make better decisions after the last thirty years? And then he turns to discuss organizations and how they can improve their decision making. And leaves the question of helping individual decision maker unaddressed. The claim in the book is that we are conscious of our conscious thoughts, we are conscious of our deliberations. Most of what happens in our mind, happens silently. And the most important things in our mind happen silently. We are just aware of the result, we are not aware of the process. The processes that we are aware of tend to be deliberative and sequential. But the associative network that lies behind all that and that brings ideas forward into consciousness, we are not really aware of. Since we are aware of only the result and not the process, how could we ever improve our decision making? The cognitive biases that we carry are perhaps so deep rooted and intertwined with our memories in such a complex networked way that we have no access and know-how of improving them. Having said that, I find Kahneman himself extremely conscious of his potentially biased thinking process. 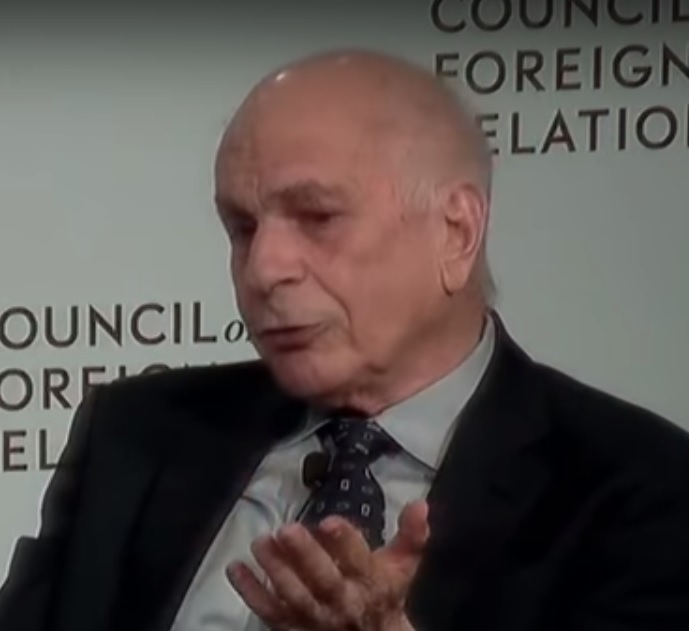 For example, when someone asked him (26:20), “Do you feel good history is possible or are we doomed to confirmation bias?” Kahneman begins his answer by saying, “It is hard for me as an outsider to define what good history would be like.” That’s accepting ignorance of the definition of good history upfront. When someone else asked him (42:50), “Does diversity make for better decision making?” He begins by saying, “Well, I really have no expertise in that and I am relying not even on primary sources…” and then gives a view. That’s admitting lack of expertise upfront. Later on while addressing a question on climate change denial (50:30), he admits that he believes in climate change because he believes in National Academy of Sciences which, in turn, believes in climate change. So his belief is based on what people he trusts believe in. It is an example of a Nobel Laureate scientist explaining the non-scientific manner in which his belief system works. Now, this self-doubt is evident in not just one interview but all of Kahneman’s interviews that I have watched. And I have watched at least half a dozen hour long interviews. This kind of checking the quantity and quality of information before giving an answer is a hallmark of his thinking process. His intuitive answers may be susceptible to biases but his alertness about the possibility of a bias is very strong. And it is hard to believe that it is not influenced by his work. Of course, interviews may not be a stressful situation for Kahneman. And, as he says in his book, the real test of your alertness is in stressful situations. He mentions in the book – “Questioning your intuitions is unpleasant when you face the stress of a big decision. 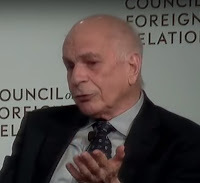 More doubt is the last thing you want when you are in trouble.” So perhaps I am generalizing about Kahneman’s thinking process based on how he answers interview questions. And that may not be correct generalization. I differ from Kahneman in following way. I feel that I may not be aware of the exact biases taking place in my fast, automatic, intuitive thinking process. However, if I carry awareness that it could be wrong due to inherent biases, that’s enough for creating an opening to listen to other views. And “Thinking, fast and slow” carries the potential to send that message to individuals. And it’s possible to cultivate alertness even in stressful situations. At least, that’s my experience. And, of course, I could be wrong!